In a darkened room full of trained mice - and future friends. 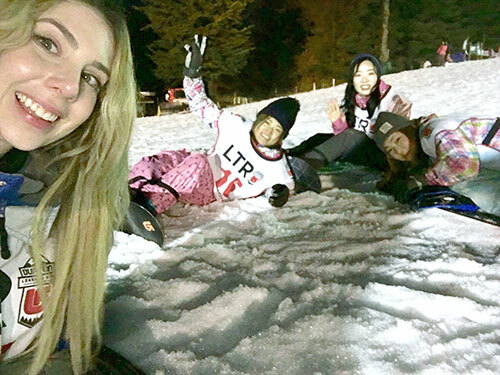 That’s how Nicole “Nikki” Thomasian spent most of her days on her Fulbright Fellowship in Japan while conducting research on how physical therapy shapes brain recovery after stroke. Fresh out of Brown University with a B.S. in neuroscience, she spent nearly a year at Osaka University, improving her research skills, including how to train mice and design a research model from scratch, dexterity from operating on mice and medical Japanese. And after hours and hours in the laboratory together, you make deep and lasting bonds with your lab mates, Nikki says. “I still talk to them all the time. 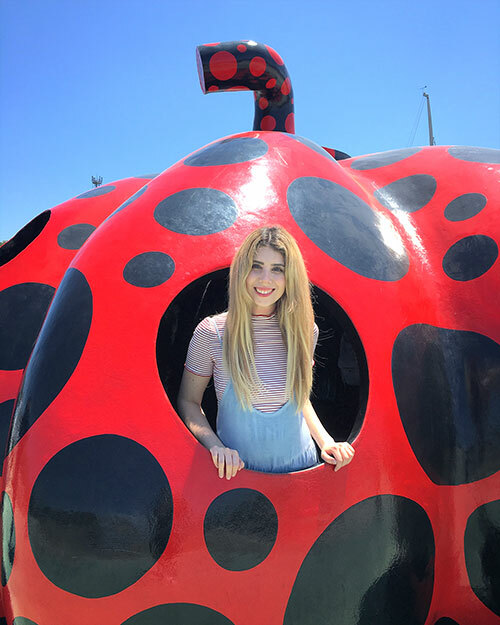 That was truly a highlight of my Fulbright experience - yes, the research was amazing - but even more than that, the friends I made were incredible,” she says. Her interest in Japan stemmed from being close to her half-Japanese cousins and Japanese aunt, who first exposed her to washoku (Japanese food) and the language. Those experiences led her to spend a semester at Tokyo’s Keio University during college. She first heard about the Fulbright program at a meeting for first-generation university students. During her time in Japan, she says that in addition to technical skills, she learned patience, especially when research doesn’t turn out as envisioned, and independence. “It doesn’t even bother me anymore when little things don’t go my way - even big things sometimes. I am just expecting everything to fail. I know that sounds a little pessimistic, but I think it actually helped my personal development a lot; And I think I matured a great deal,” Nikki says. Back at Brown now, she’s studying to become a physician and taking advanced Japanese classes too, and wondering how to combine a career in medicine and public health. 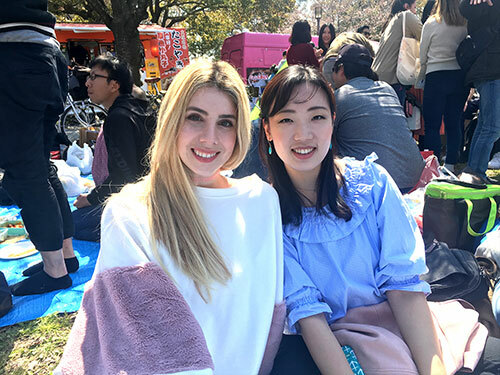 Nikki plans to go back to Japan for a clinical rotation during her fourth year of med school and is considering a master’s degree in public policy. And there’s a possibility to continue collaboration with some of her lab friends to publish a paper, if the research she conducted in Osaka, which is now being built upon, pans out. 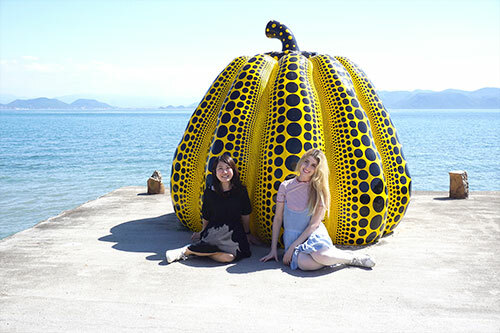 Benesse Art Site Naoshima, Kagawa Prefecture, May 2017. 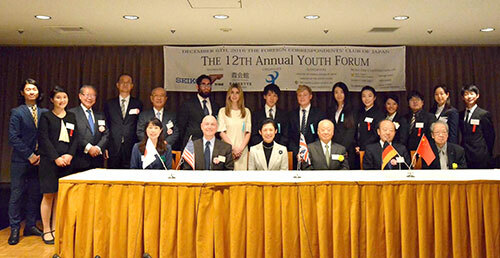 As a panelist at the 12th Annual Youth Forum Japan Conference, December 2017.